Originally, this building was the office of a company called NV NIGM (Nederlandsch Indische Gas Maatschappij) which was established in 1897. The company is expanding its operations into electric power. 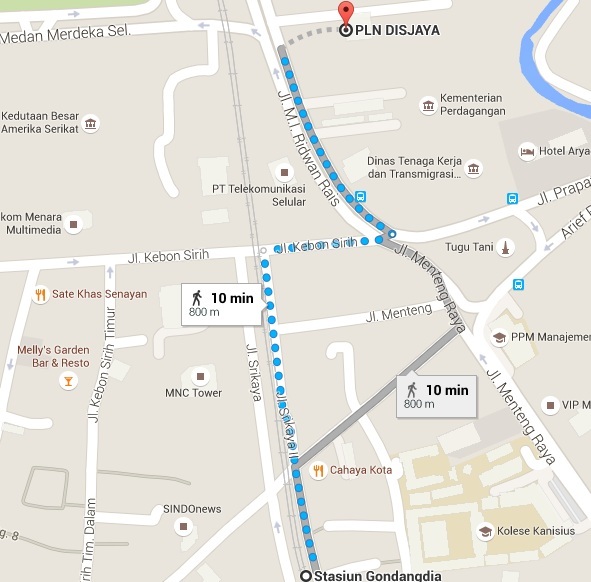 At that time, there was Steam Power Plant aroun Gambir near the Ciliwung river. 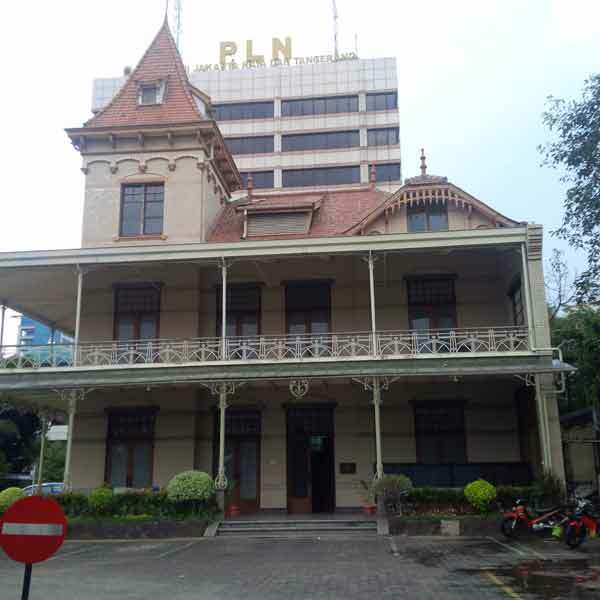 In 1913, NV NIGM had a license to do business in Batavia, Jatinegara and Tangerang. During the Japanese occupation was taken over by the company called Djawa Denki Jogyosha Djakarta Shisha. 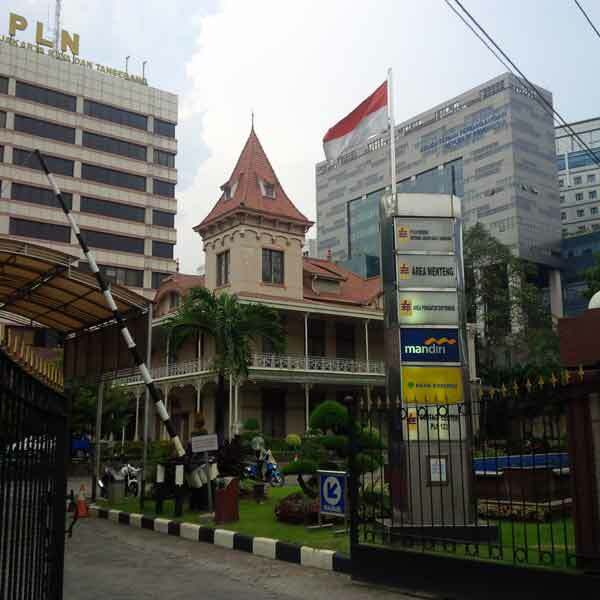 After the end of Japanese occupation, the government established Department of Electricity and Gas, Djakarta branch. The management of electricity power then returned to the original owner (NV NIGM) in 1947 and the name was changed to NV OGEM. After the concession period of the NV OGEM was ended on 1 January 1954, the electricity management under controlled by the Jakarta Electricity Company which covered Jakarta, Kebayoran, and Tangerang. Next Post #JBTPolling Perlukah #turkrl Diselenggarakan Lagi?